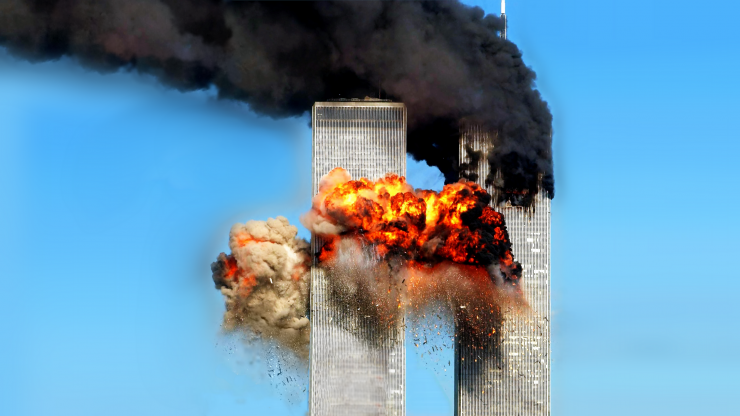 The September 11 terror incidents in 2001 are said to be the biggest-ever deadly attack on US soil. Shamefully, exactly 17 years later, the US president and Pentagon military chiefs are threatening to go to war in Syria – to defend the same ilk of terrorists. “Shamefully” is perhaps not the most fitting word here. “Consistently” would be more appropriate. Officially, the spectacular plane-crashing mayhem 17 years ago in New York City was due to 19 Arab hijackers affiliated with the Al Qaeda terror network. That account of the world-changing event has been hotly disputed, with many respected authors and organizations claiming that evidence shows the US intelligence agencies are implicated in an inside job. The death of some 3,000 American citizens was hence exploited as a pretext for launching a series of US overseas wars, whose hidden agenda was for promoting imperialist objectives. he fourth plane crashed in a rural area in Pennsylvania, allegedly after passengers challenged the terrorist pilots.. The Al Qaeda terror network, with its ideological links to Saudi-sponsored Wahhabism, was declared “enemy number one” by then President George W Bush, who proceeded to launch wars on Afghanistan and Iraq, supposedly to avenge the 911 atrocity perpetrated against American civilians. The so-called “war on terror” has since become a much-overused blank check for successive US governments and their NATO allies to launch wars anywhere in the world to “defeat terrorists”. It has been used to justify increasing Western state surveillance powers against its own citizens in the name of counter-terrorism. To be sure, the official story on 911 and subsequent US and NATO military rampaging around the globe has been challenged by skeptics and critics. 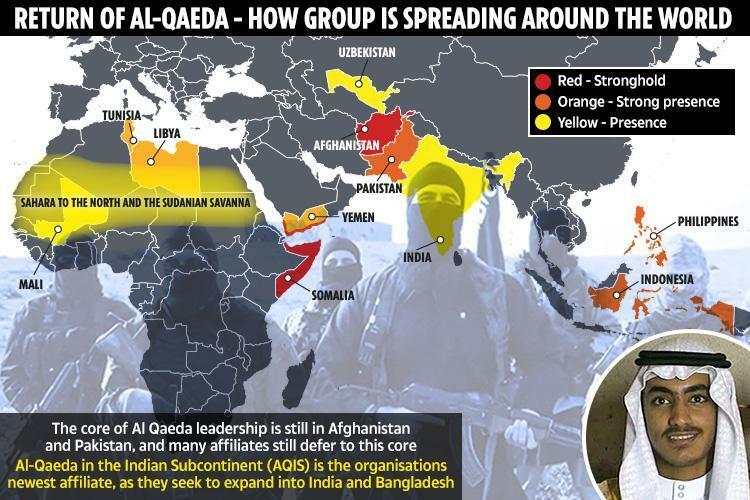 One of the key lines of contesting the official narrative is the documented evolution of the Al Qaeda terror franchise, which grew out of US sponsorship of motley radical Islamist groups in Afghanistan during the 1980s. That covert ploy was to give then occupying Soviet troops “their Vietnam”. American and British military intelligence along with lavish Saudi funding created the Frankenstein Monster of Islamic terrorism that mutated and spread across the Middle East and beyond. So, the very notion that, post-911, the American creators of the terrorist monster would serve to protect the civilized world from their own creation was always a deeply suspect proposition. The truth is that the US never stopped colluding with these terror groups since the days of the putative Afghan Vietnam for the Soviet Union. The 911 incidents may have been some form of “blowback” or, plausibly, it was American intelligence handlers contriving a plot which would give imperialist planners their much-desired “new Pearl Harbor” – a blank check to declare war on the planet for the benefit of advancing US strategic interests. Granted, the success of that nefarious covert scheme is questionable given the unforeseen huge financial and social costs to American society, as well as from general bedlam undermining global security. For observers willing to see, it seems indisputable that there is something of a symbiotic relationship between Islamist terror proxies and the US imperialist state. The official “enemy” is a boon for justifying oppressive state powers against citizens; it serves as a pump for bloated budgets to the military-industrial complex at the heart of the American capitalist economy; and this enemy can also serve as target practice for illegal military intervention in foreign countries – US interventions that would otherwise be seen for what they are, as “criminal aggression”. Further, the terror proxies continue to serve as a cat’s paws for US imperialism, as in the earlier formation in Afghanistan against the Soviet Union. Rather than direct large-scale American military involvement, the Al Qaeda brigades are deployed to do Washington’s dirty work. Syria is emerging as the new Afghanistan. Officially, the Pentagon and US corporate news media scoff at these claims of collusion with terrorists. “We are bombing Syria to defeat terrorists,” so goes the mantra. Substitute any number of countries for “Syria”, as required. Well, if that’s the case why have senior US military people like Michael Flynn admitted that the former Obama administration deliberately cultivated the terror brigades in Syria? Why have hundreds of millions of dollars gone into forming a non-existent “moderate rebel army” in Syria only for the American weaponry to end up in the hands of terror groups like Nusra Front? What about credible reports of US military helicopters airlifting Nusra commanders out of harm’s way to other, safer parts of Syria? Similar reports of airlifting, or airdropping weapons, have come out of Afghanistan, where the Pentagon is still “fighting terrorists” – 17 years after 911. It has taken a painfully long time over the eight years of war in Syria to uncover the full and real extent of criminality by the US and its British and French allies, along with the Saudis, Turks and Israelis. But now we are coming full circle. President Donald Trump and his officials are warning that they will launch military strikes on Syria if the Syrian army and its Russian and Iranian allies proceed with the offensive to retake Idlib province. The northwest province is the last-remaining stronghold of anti-government militants. These militants are not the illusory “moderate rebels” the Western media have long bamboozled the public with. The militants comprise Nusra Front, Ahrar al Sham, Islamic State, and other self-professed Wahhabi jihadists of the Al Qaeda franchise. The myriad, mercurial names are merely part of the US cynical cover. Trump – the supposed non-interventionist president – has even discarded the earlier ruse of invoking “chemical weapons” as a pretext for a US military attack on Syria. He and his officials are simply saying that any offensive by the Syrian army to retake all of its territory is an “unacceptable escalation” that will be met with a US military response. There is no other credible rationale for such military deployment by Washington in Syria. The Western media are as usual riding shotgun with the mendacity, claiming that the Syrian army offensive will trigger a “humanitarian crisis”, rather than reporting the salient fact that the offensive is aimed at eradicating the most vile terror groups from that country. In Syria, today, 17 years after 911, the real relationship between US authorities and terrorism is on display. The United States of Anarchy. The people controlling America don’t give a hoot about America, they could not care less if America is turned to dust & rubble, want they want is clear, total control of the Globe! I believe those hiding in the shadow are Zionists!